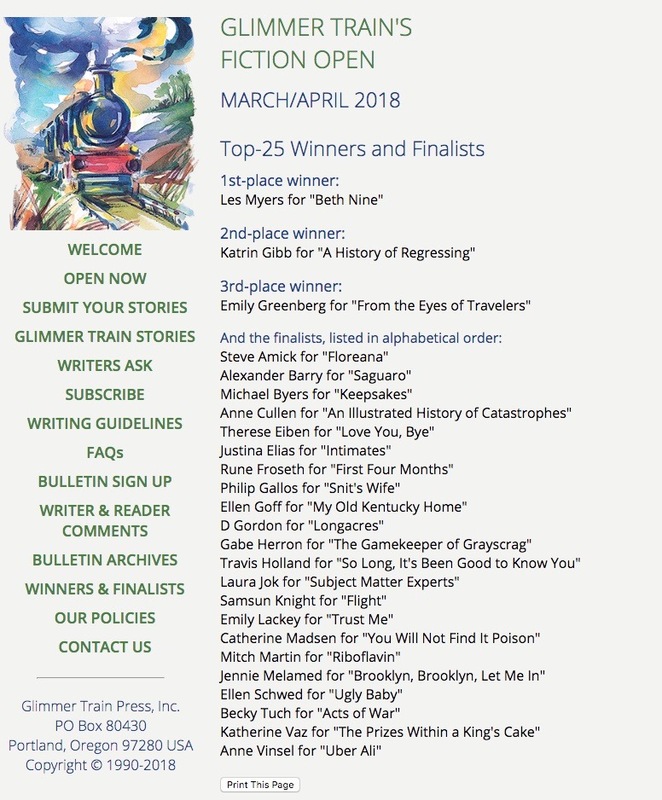 I'm back from the Juniper Summer Writing Institute with a little extra wind in my sails: my story "Trust Me" was named a finalist in the Glimmer Train Fiction Open. In the weeks leading up to the end of our five-year relationship, my boyfriend and I spent all our time together watching Alone. The show—a History Channel original—follows ten contestants as they self-document their attempts to survive alone in the wilderness. The winner is the last person left standing. They call it tapping out, but really what that means is that the contestant presses a button on their emergency satellite phone and the rescue crews swoop in. We didn’t know it was the end then, but in those final weeks my boyfriend, Jamie, and I sat on opposite ends of the couch together, watching in the dark of our small house as, one by one, each of the contestants reached their breaking point and went home. 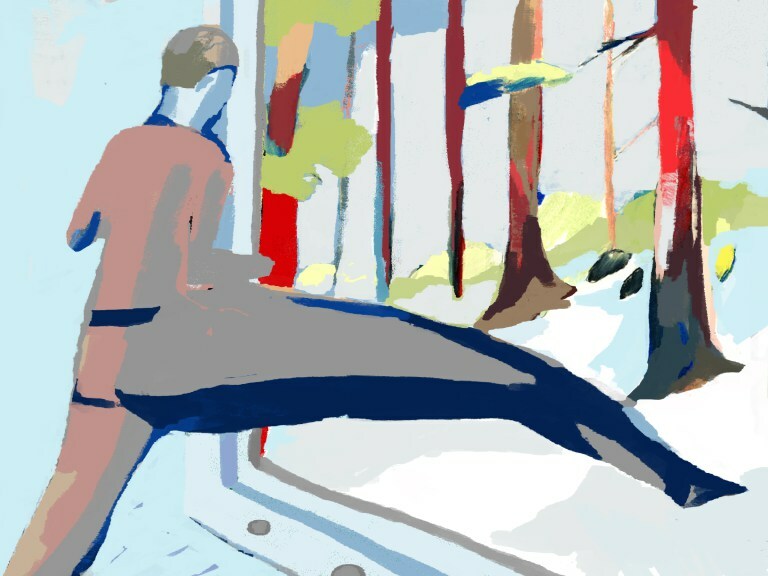 Continue reading on The Rumpus. So the acceptance letters are in—the rejection letters, too—and my plan to take the next nine months to write and travel are taking shape. I've been accepted into two more residency programs: I'll be attending the Virginia Center for the Creative Arts as a fellow this fall and the Newnan ArtRez as an artist-in-residence in April. I've also signed up for a month-long retreat at Wellspring House in May to cap off my year of collaborative living with a little bit of solitude. How all four of these opportunities have fallen into place with no overlap seems even more fortuitous than the fact that I got into them in the first place. Either way, I am excited to spend the next nine months traveling, living alongside other artists, and finishing my collection of stories. Exciting news, friends: I've been chosen as a 2018 Artist-in-Residence by the Bemis Center for Contemporary Arts. I'll be heading to Omaha in January to begin my three-month residency alongside artists in a number of different disciplines, including painting, sculpture, performance, printmaking, architecture, fiber arts, and photography. My mother hates it when I write about her. Although, knowing her, she would object to my use of the word “hate.” When we were children, she wouldn’t let us use it. So let me start again: My mother does not like it when I write about her. My mother has never asked me not to write about her, but when I show her a piece in which she figures prominently, she is always quiet afterward. “It’s good,” she says, but after that there is nothing. “What?” I ask, and she’ll look at the page, scanning it for something other than what she wants to say, and then her eyes will fill with tears, the rims like sinks that never completely drain. “You make me sound so weak,” she says, like she always says, and then I say nothing. Because what can I say that won’t hurt her, and what can I say that won’t be a lie? Here is the truth: my mother is weak. She has had sixteen surgeries in her lifetime. Physically she is held together by rods and screws, her bones overcompensating in equal and opposite measure so that each year there is always another surgery, always another revision. My mother’s body is a version of her body the doctors have edited to within an inch of its life, snapping joints and drilling holes until it seems strong. But then we are back in a year—two if we are lucky—taking another stab at it. They fine-tune the bones in her spine. They replace the replacements in her joints. Continue reading in the Spring 2017 issue of Prairie Schooner.